Cinco de Mayo is a celebration of Mexican culture and heritage, and this Cinco de Mayo activity is perfect for the occasion. In this crossword puzzle, kids can see how much they know of Mexican culture. 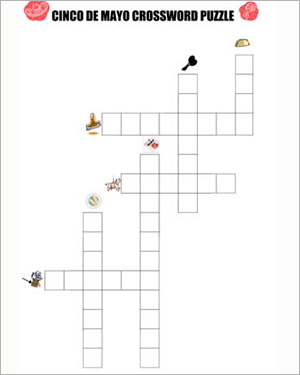 The images in this crossword all depict objects or ideas that are closely related to Mexican culture. Students must try and fill in the crossword with their traditional names.